I dearly love the Eastern Christian liturgies and have the very fondest memories of the almost 8-year span at the International Theological Institute in Austria when my family and I were able to attend Divine Liturgy in English, Ukrainian, and Romanian (on a rotating basis). One thing that particularly captivated me was learning several of the chants in Church Slavonic. Of course I don't "get" Slavonic from a grammatical point of view, but I knew what the prayers were saying, and the combination of the language and the melodies was captivating. Church Slavonic, like all extant liturgical languages, is a dying tongue. The Russian Orthodox Church remains the single largest user of Slavonic, though many of its parishes in the diaspora—including those of the Russian Orthodox Church Outside of Russia (ROCOR)—have abandoned it in favor of the vernacular. The Orthodox Church in America, with few exceptions, has completely dropped Slavonic and other local churches, such as the Bulgarian and Serbian Orthodox, have moved away from it as well. The main argument against using Slavonic in the liturgy is that few understand it anymore, particularly outside of traditional Orthodox homelands. In the Greek Catholic context, those churches which draw their heritage from the Slavic tradition now favor the vernacular. The Ukrainian Greek Catholic Church (UGCC), which was once the largest Catholic communion to use Church Slavonic, now serves most of its liturgies in Ukrainian (with exceptions made for parishes in other parts of the world). This is somewhat ironic given all of the effort the Congregation for Oriental Churches put into producing a master set of “de-Latinized” Slavonic liturgical books for the Ukrainian and Ruthenian churches between the 1940s and 70s. So, is it time to move on from Church Slavonic? 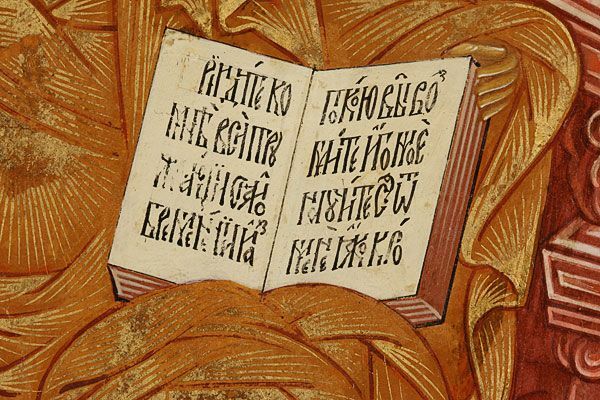 Should the liturgical language which sustained the Eastern Slavic churches (Catholic and Orthodox) for a millennium be abandoned once and for all? Or is it still possible to maintain a liturgical link to the past without sacrificing intelligibility to the point where the liturgy becomes either a museum piece or a performance? Read the rest of the article there.